You’ve probably already mastered rifle scope basics, so with this post we’re going to get a bit more advanced. But don’t worry, we won’t get too crazy – no math, we’re just going to take some time to address the multiple reticle options you’re going to come across while shopping for that spiffy new scope. As you already know, the reticle is the internal aiming device found within the scope when you aim at your target. Because there are so many different types of reticles we’re going to discuss some that you may encounter, but we’ll focus primarily on Bullet Drop Compensating reticles and Mil-Dot reticles. Milliradian is the technical term, as is Minute of Angle. 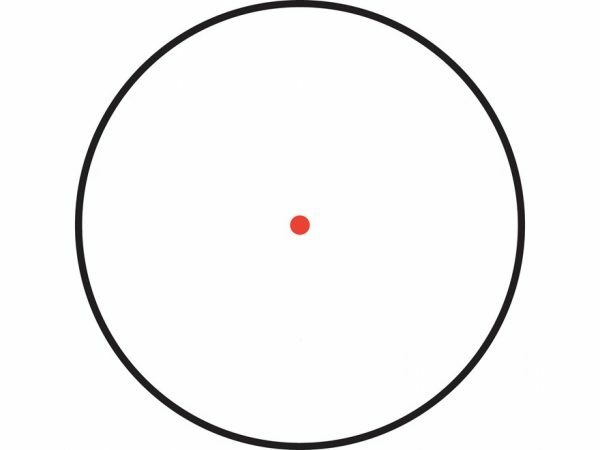 When considering a reticle be sure you remember that while they are similar, they are very different systems based on different units of measure. The easiest way to keep it straight is that MOA is best for a casual shooter or hobbyist, which most of us are. Mil-Dots are best for people who desire the most intense precision at the greatest range they can achieve – it also requires math which isn’t fun for a lot of us either. More on that later. 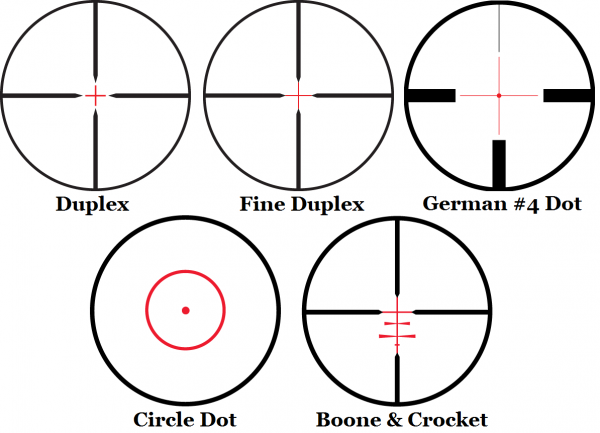 I don’t want to bore you with the details, but it is worth covering a few of the other reticles you will encounter while selecting a riflescope, maybe you’ll find these more appropriate for your application than a BDC or Mil-Dot reticle. 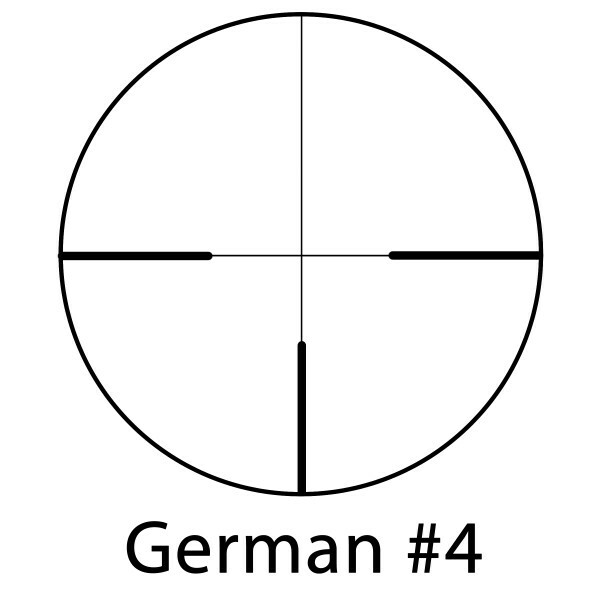 The first reticle was very simple, two straight lines – one horizontal, one vertical, both perpendicular. That’s it. Really, that’s it. You’ll see illuminated versions of these in higher end scopes like Leupold or Zeiss followed by a number (German #4 as an example). Each one has its merits, but commonly they will have thicker reticle lines at all positions except the 12 o’clock. An excellent choice for a hunter. Zero this bad-boy in to your typical range and enjoy the bolder/thicker lines to keep the crosshairs from getting lost in the “noise” of the background. This is an extremely common reticle, so expect to see this a lot. Don’t be surprised if the scope manufacturer gives it a proprietary name like Nikon’s Nikoplex or Simmons’s Truplex. 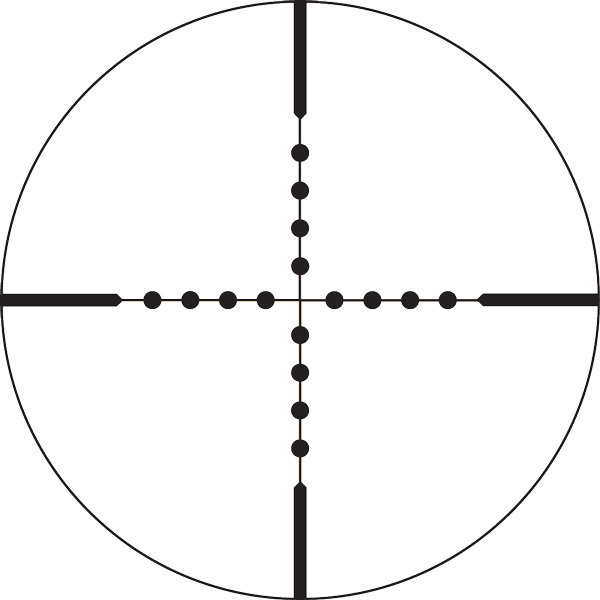 Replace the crosshair from an original reticle in the center with a circle, and boom: dot reticle. I don’t recommend these for anything outside of tactical style shooting where the rapid target acquisition of a red-dot sight is desired with the zoom of a scope. 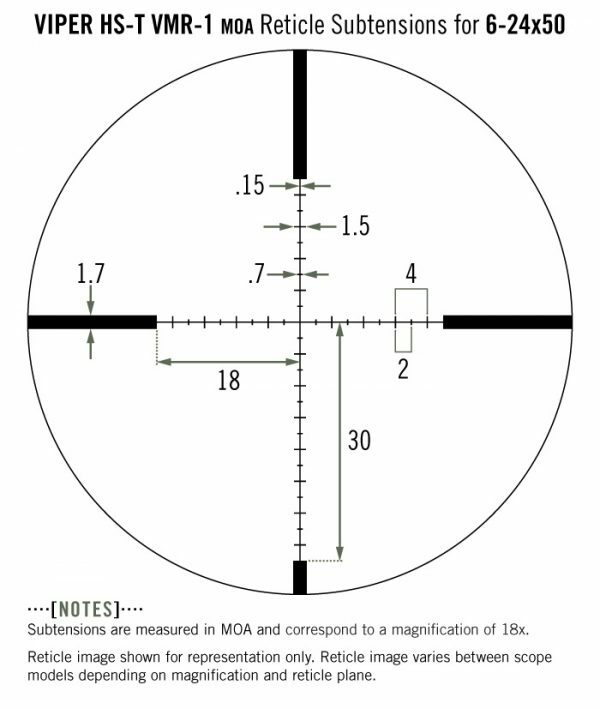 We’re going to consider this a subcategory of the BDC reticle, but the main difference is going to be progressively wider markings going down the 6 o’clock position on the reticle. This is to help with wind shift at greater distances. Rather than adjust your scope to compensate for a cross-wind you can use these marks to do it manually by shifting to the left or right of the target – something we called Kentucky Windage at Ft. Knox. It’s great for that single shot, but follow-up shots will depend on your ability to recreate that exact same reticle placement, so don’t expect consistency if you’re not re-zeroing. You’ll see these on everything from Trijicon’s ACOG to Zeiss optics that cost as much as your second car. 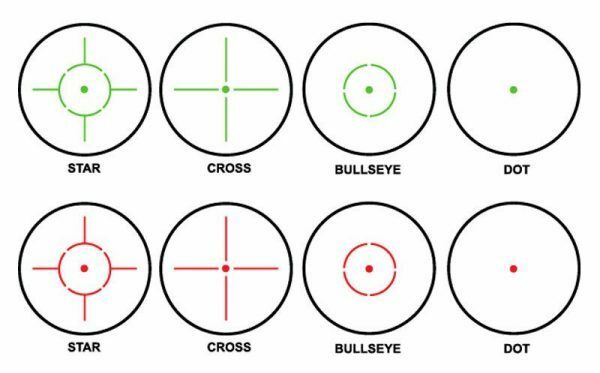 While cosmetic differences will change from reticle to reticle, the premise is the same – there are hash marks at the 6 o’clock position that will help you gauge where a bullet will land after a predetermined distance. Sometimes those marks will be lines, circles, or even chevrons. We’ll get into this later, for now think of it as a reticle within a reticle so you can reach further than your main reticle’s zero. This reticle is ideal for people shooting seriously long distances, especially when they only get one shot to hit their target – catch my drift? Was that an optics joke? 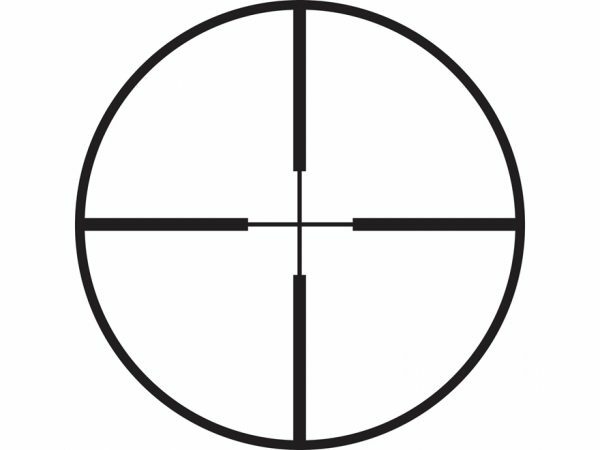 Anyway, remember that the Mil-Dot reticle is designed to provide the shooter with as much information as possible to make that one-time shot. 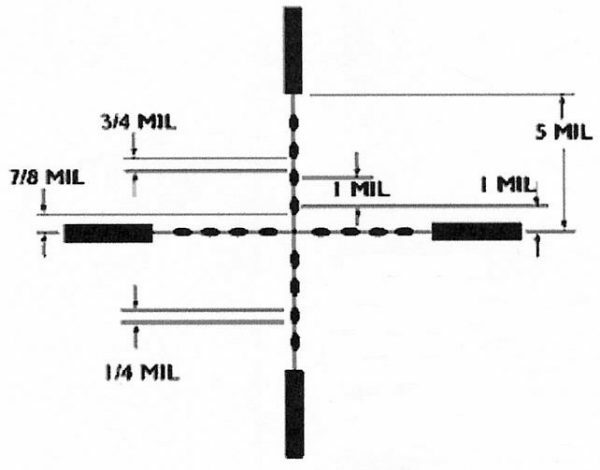 Mil-Dots are great for those who are familiar with the metric system as well. Because of these reliable measurements, they can be used to calculate target size from a distance and even calculate wind speed. What you need to remember is that while this reticle is quite handy in a lot of applications, it can be information overload for average shooters. To detail the specifics of Mil-Dots and how to effectively use them would require an entirely separate guide equal in length to this one. If you’re still interested in Mil-Dots let me get a bit more advanced, but briefly. Milliradians are calculated based on the number of degrees in a circle (6,283.2 of them which comes out to 17.45 mils per degree). Because you’re working with degrees your mil size will vary in dimension on target based on distance. For example, 1 mil is 10 centimeters at 100 meters, or 1 meter at 1,000 meters. Fun, huh? For you guys who want to hit a basketball on the first shot at 1,000 yards, grab the Mil-Dot. If you’re going to the same 100-yard range or not hunting much past 300 yards, a BDC will be much more useful for hobbyists. This is pretty self-explanatory, but do keep an eye out for this as you’re selecting your reticle. Non-illuminated reticles are going to be solid black and that’s that – quite worthless at night or in low-light situations. But, illuminated reticles will provide a “lit” area of reticle (most commonly smack in the center) to help you land those rounds on target when environmental lighting is working against you. You’re going to see this come up once you narrow you field of chosen candidates – think Final Four in March Madness. Subtension is how much of your target is covered by the reticle itself. There are two places your reticle may be found within the scope and this affects subtension: first/front focal plane (FFP) or second/rear focal plane (SFP). The FFP is found in front of the magnifying lens and the SFP is found after magnifying lens. How does this affect your reticle? Reticles found on the FFP will appear to increase in size the more you magnify (zoom in on) your target. This is common in European manufacturers but some American manufacturers are getting on board. 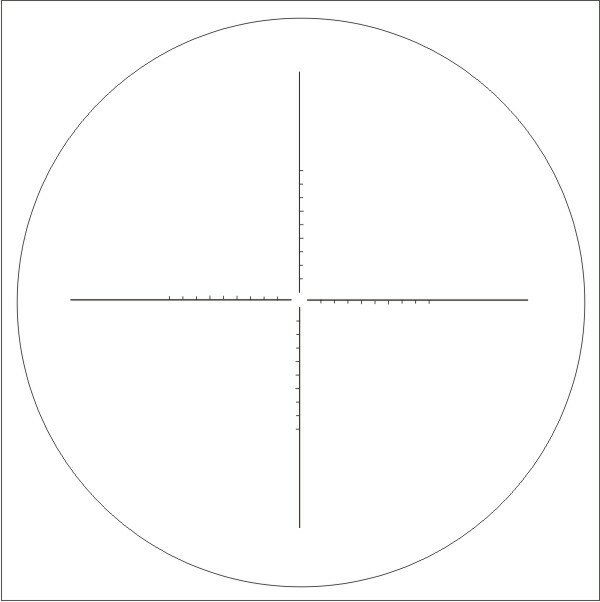 Naturally, reticles on the RFP will appear to stay the same size throughout your magnification range and is commonly found in American made scopes. These “appearances” are all happening relative to the shooter. The reticle doesn’t physically change size within the scope. What is physical, or mechanical, is your ZERO. Reticles on the FFP will maintain zero, BDC (ballistics information) and range estimation throughout the magnification range of the scope. These same measurements on a SFP reticle will only work on ONE magnification setting, typically the highest one. Remember this as you’re selecting your scope and make sure you have this information from the manufacturer before you buy. Sadly, there is no blanket statement for me to make here. I wish I could tell you “go here, do this, do that, pull the trigger, profit.” As you can see there is a lot of variety in scopes, reticles and the objective they’re designed to accomplish. Thankfully, not all is lost. Nikon, Vortex, Burris, and Zeiss offer great tools with which you can get extremely accurate reticle analysis. Go to the website, select your scope, and then select a whole lot of other data down to scope height, zero, target range, even the specific ammunition with ballistics coefficient and these handy generators will churn out an accurate representation of how your ammunition and scope will work together to reflect on your reticle. This is a powerful tool. Use it! As far as other manufacturers, we must consult the manual or the company directly. So now you’re a regular whiz kid on scopes. You’re ready to hit the range and blow up watermelons from 900 yards, right? I hope so! Here’s something to consider as you navigate the world of ranged optics for your rifle: be honest with yourself. 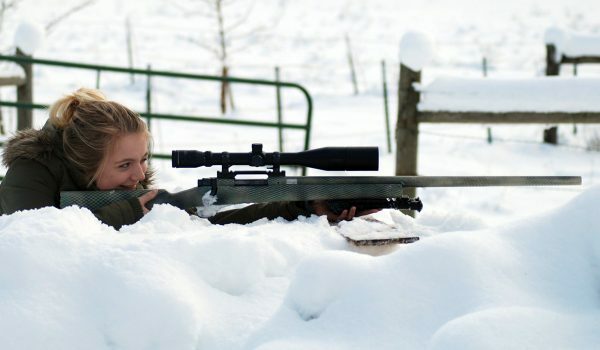 While the high dollar scopes look cool and having a rifle that can reach out to 1,000 yards is awesome bragging rights, will you really use it? For a wide spectrum of choices, check out our Best Optics for AR-15 and Affordable Optics That Don’t Break On You. Few of us have access to a range over 100 yards, and even fewer to a range past 300 yards. Your scope is part of your tool and part of your training. If you’re not using it to its maximum potential, it’s dead weight. Nice article, very informative. I recently went through this decision making process. Already had a Vortex Strike Eagle 1-6×24 but I wanted something with higher magnification for longer distances. Decided to go with FFP. Most FFP scopes I found are a lot of money. I ended up getting a Burris Veracity 4-20×50 FFP for $645 after rebate. I’m very happy with it. If you’re interested in this style scope but you don’t want to spend the loot for a Vortex Viper, Zeiss, Nightforce, etc., check out Burris. They now offer a lifetime warranty like Vortex.